In celebration of its 10th anniversary, Autism Speaks, the world’s leading autism science and advocacy organization, brings to Los Angeles a unique dinner party. The Autism Speaks to Los Angeles Celebrity Chef Gala will showcase award-winning chefs at its first local fundraising gala, having created an exciting legacy on New York’s Wall Street for the past eight years. One hundred top chefs, cooking tableside, will create their signature four-course meals exclusively for their guests at this unique inaugural event on October 8th at the Barker Hangar in Santa Monica. No two tables will feature the same menus. Co-Chairs of the LA Chef Gala debut are WME Head of Television Rick Rosen, WME Partner Ari Greenburg and FX Networks President & COO Chuck Saftler. The Honorary Co-Chair is Brian Kelly, Autism Speaks Chairman of the Board. 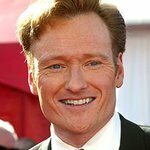 The evening, hosted by late night comedian Conan O'Brien, will also honor Autism Speaks Co-Founders Suzanne & Bob Wright, commemorating 10 years of progress. Since its inception in New York, the Autism Speaks Chef Gala has raised nearly $8 million dollars for the research, awareness and advocacy initiatives of Autism Speaks. More than 50 ovens, 1,000 pounds of meat, fish and vegetables, and hundreds of recipes are the ingredients for the Los Angeles debut of this culinary event for Autism Speaks. Participating chefs include Antonia Lofaso (Scopa Italian Roots), Art Smith (Table Fifty-Two), Ben Ford (Ford’s Filling Station), Brian Malarkey (Herringbone), Govind Armstrong (Post & Beam), Jet Tila (Food Network) Joachim Splichal (Patina), Josiah Citrin (Mélisse), Mary Sue Milliken (Border Grill), Michael Voltaggio (Ink), Nancy Silverton (Osteria Mozza), Neal Fraser (Redbird) and many others. They have earned James Beard awards, Best New Chef titles and rave reviews from diners in Los Angeles, New York, Boston, Chicago, Denver and points in between. For a full list of participating chefs, go to www.autismspeaks.org/lachefgala.com. The evening will kick off with Wolfgang Puck Catering serving hors d’oeuvres inspired by his iconic restaurants such as Spago, CUT, Chinois and WP24, along with wines from Frank Family Vineyards and cocktails. Following cocktails, guests will be escorted to their private tables where they will witness their master chef create four exclusive courses of signature dishes tableside. Guests will also enjoy a special musical performance to be announced shortly. Toyota, a presenting sponsor of Autism Speaks to Los Angeles Celebrity Chef Gala, will debut the new Mirai, their first hydrogen fuel cell vehicle which combines hydrogen and oxygen to make electricity onboard, while emitting nothing but water vapor. The Mirai will be delivered to consumers in California in October 2015. For more information, please visit www.toyota.com/mirai. The program will also offer a “Fund-A-Mission” auction where guests will have the opportunity to support special Autism Speaks initiatives including summer camp for kids with autism, the genome research program known as MSSNG and iPads for individuals who struggle to communicate. Autism Speaks to Los Angeles Celebrity Chef Gala is generously sponsored by: Executive Chef Sponsor – Toyota and ION Media Networks/ Brandon Burgess; Chef de Cuisine Sponsor – Discovery Communications, Cox Enterprises, Inc; Pastry Chef Sponsor – Univision Communications Inc., Pepper Gate, Google; In-Kind Sponsors – Frank Family Vineyards, Caffe Luxxe, Icelandic Glacial Natural Spring Water, Kiehl’s, Korin, Anolon Gourmet Cookware, Wüsthof 200, Matfer Bourgeat Inc., Reserve; Exclusive Airline Sponsor – Delta Air Lines; Exclusive Appliance Sponsor – Jenn-Air. Exclusive Media Partner – Variety.